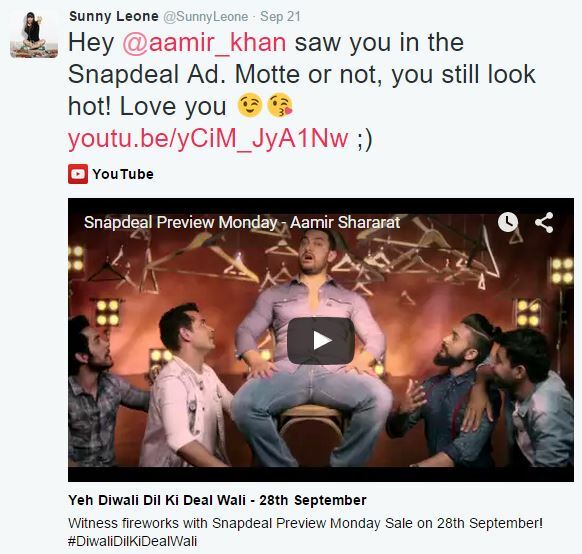 Hot Actress Sunny Leone Love’s Motte Aamir Khan Snapdeal New Ad : Recently Sunny Leone tweet on twitter and she says Hey @aamir_khan saw you in the Snapdeal Ad. Motte or not, you still look hot! Love you… In the last of this tweet she used simile of of kissing which shows her love towards Aamir Khan. Actor Aamir Khan, who is Snapdeal’s brand ambassador, stars in the new television commercial or TVC for the brand. 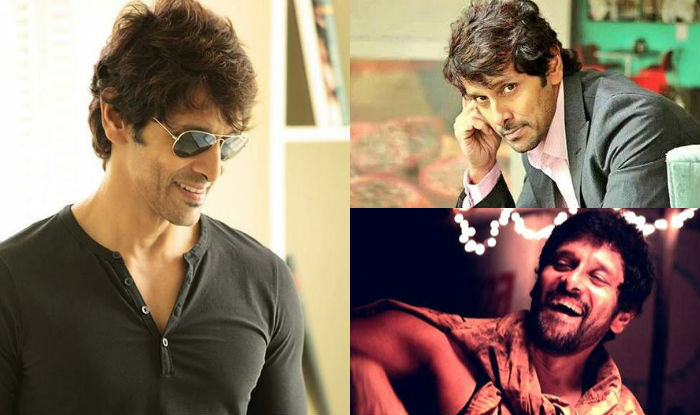 And he delivers an ace of a performance, as usual. Now below get complete details of Hot Actress Sunny Leone Love’s Motte Aamir Khan. Snapdeal has taken the lead with its #DiwaliDilKiDealWali advertisement, almost two months before the festival of Diwali begins. The hashtag #DiwaliDilKiDealWali has been trending throughout Monday, September 21, and that is not just because it is for a Snapdeal Preview Monday sale on September 28.